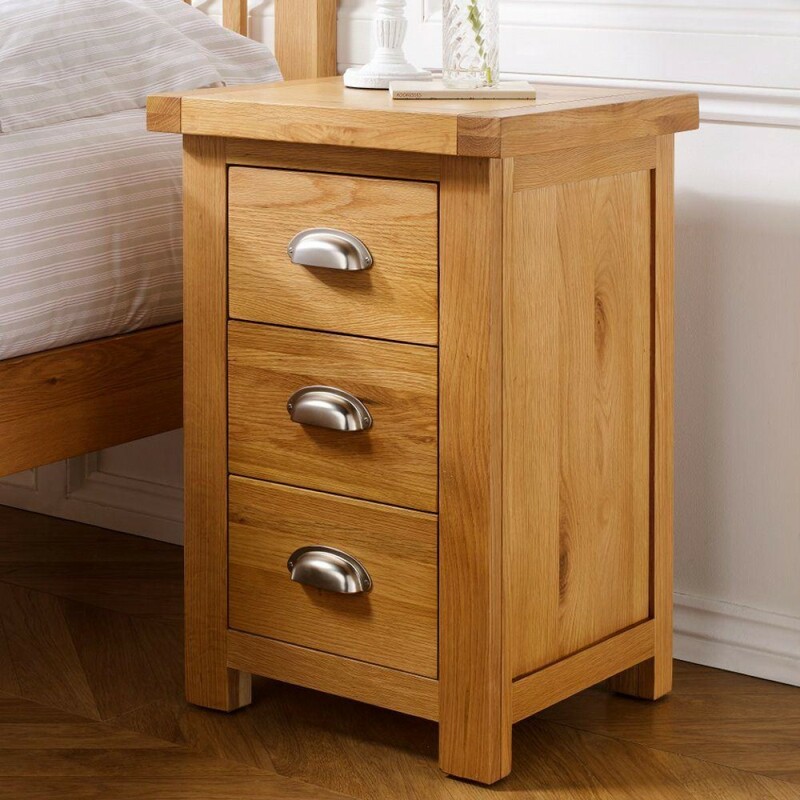 A delightful piece of furniture to partner with any bed, the Woburn Large 3 Drawer Bedside Oak provides ample storage space for bedside essentials, both within its drawers or on its sturdy surface. 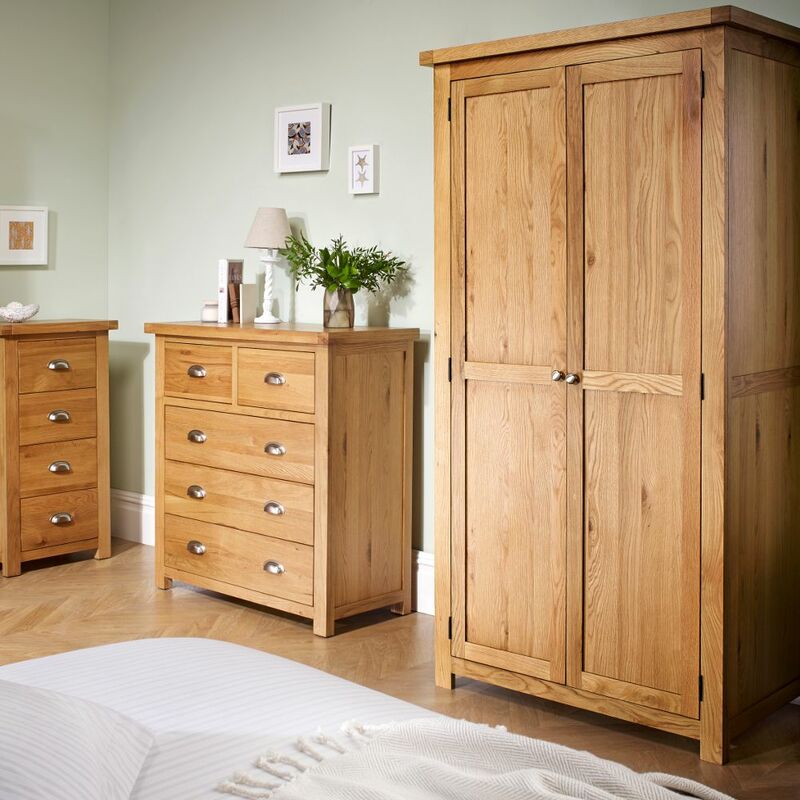 Featuring three modest sized drawers, the Woburn Large 3 Drawer Bedside Oak can contain an impressive array of items, ranging from books to clothing. 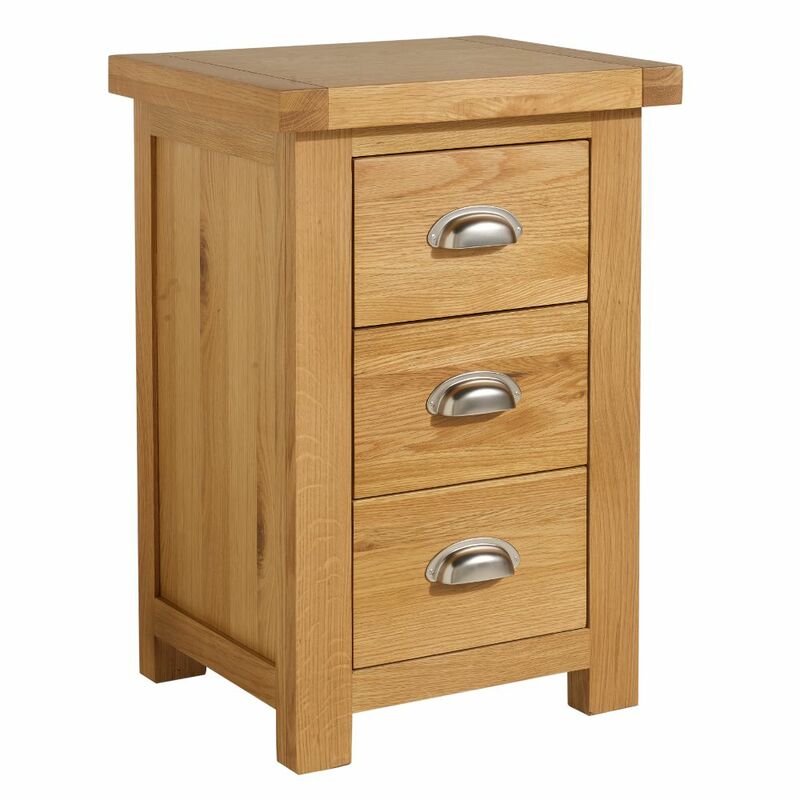 Thanks to its durable design, the Woburn Large 3 Drawer Bedside Oak can comfortably host heavy objects on its surface. Comfortably able to fit into essentially any style of decor, the unobstructive design of the Woburn Large 3 Drawer Bedside Oak lends itself well to a range of different bedrooms. The natural finish means it"d look natural in rustic and traditional rooms, while the cup style handles hint at being rather fetching within a contemporary and minimalistic bedroom. 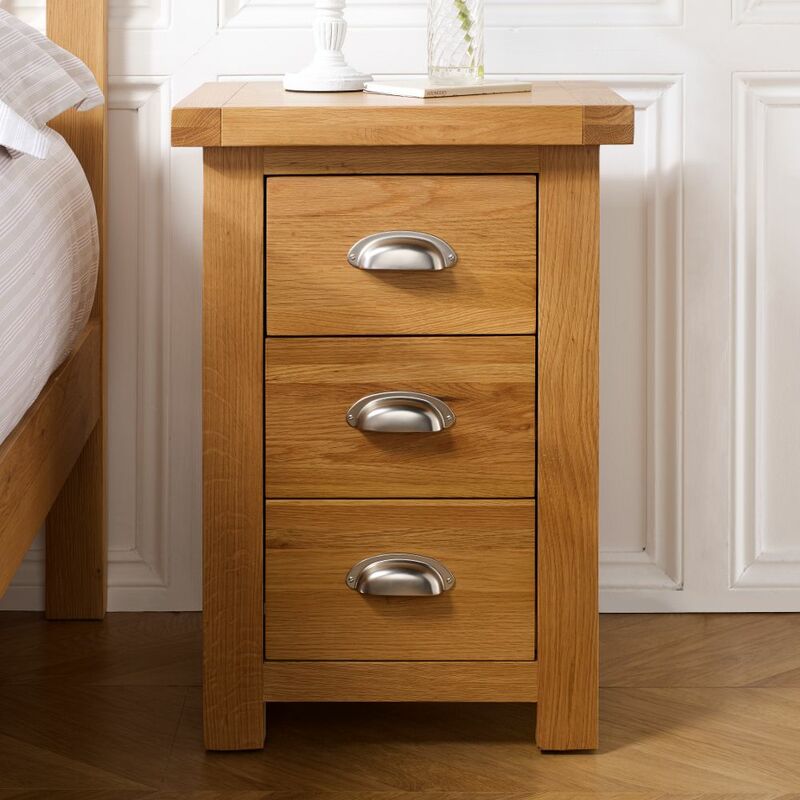 Crafted from solid oak and already built when coming out of the box, the Woburn Large 3 Drawer Bedside Oak arrives fully constructed added convenience, making it simple to get straight from the door to being placed in the bedroom. The product is part of the The product is part of the Woburn Oak Wooden Bedroom Furniture Collection.